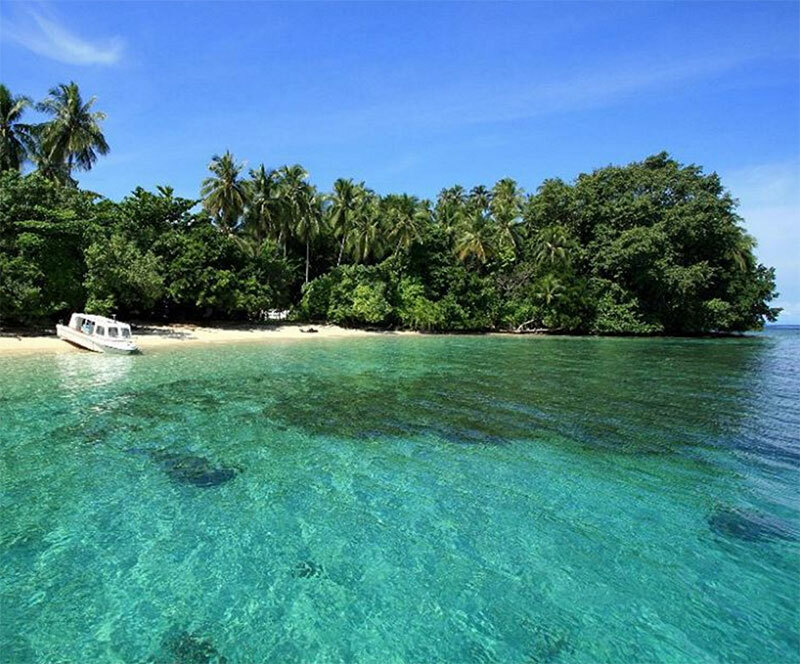 Indonesia is one of the best countries in the world for scuba diving. If you feel that a trip is incomplete without at least one dive, Indonesia is probably pretty high on your list (if you haven’t been there already). We bet that you’ve seen your fair share of beautiful corals, colorful fish and maybe even a shark or two. But if you ever find yourself longing for something different, you should know that Indonesia isn’t just full of everything colourful and nice. There are so many offbeat dives here – from sunken fighter planes to active volcanoes and oddball species, we’ve collected 11 most unique and unusual Indonesian dive sites for you to explore! In Indonesia’s typically wild fashion, the country is home to one of the diveable active volcanoes in the world. Yes, this volcano, called Mahengetang, is constantly releasing sulphur from the earth although it hasn’t officially erupted since more than 50 years ago. Mahengetang begins 400 metres below sea level and rises to just 8 metres below the surface. Visitors, who reach the area by boat, can descend over the crater of the volcano, which is called Banua Wuhu. 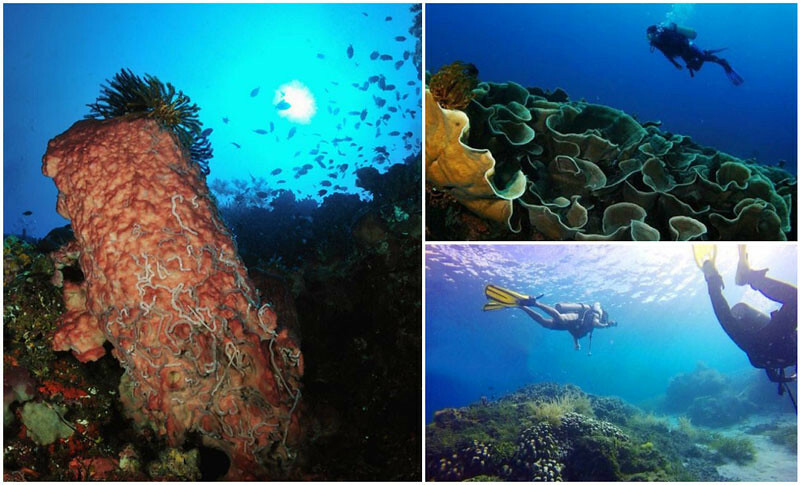 In crystal clear visibility, divers can explore pristine reefs with giant sponges and a plethora of marine life. Barracuda and mackerel flock to the area for the warm waters caused by the release of Earth’s gases. On occasion, divers can even hear the rumblings of moving earth far below. 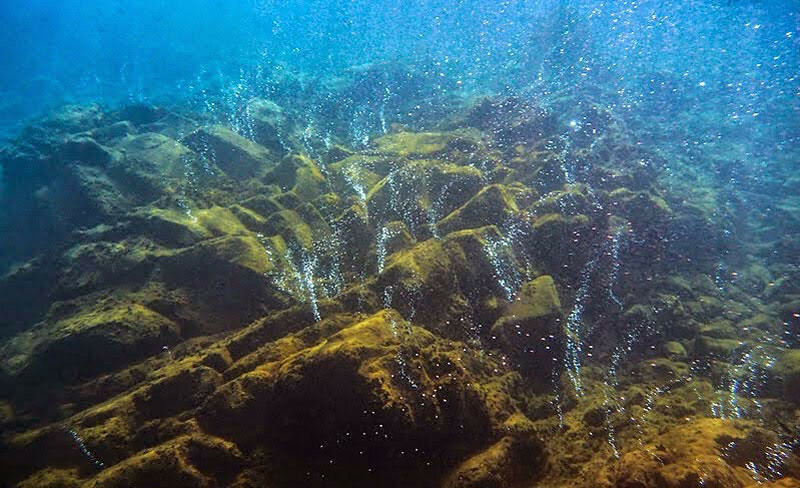 It’s imperative to exercise caution when swimming among the sulphuric bubbles. They are extremely hot and can easily burn your skin. Ask your dive operator for advice on which wetsuit is most appropriate for this type of environment. This site is for fearless explorers in search of a thrilling adventure. 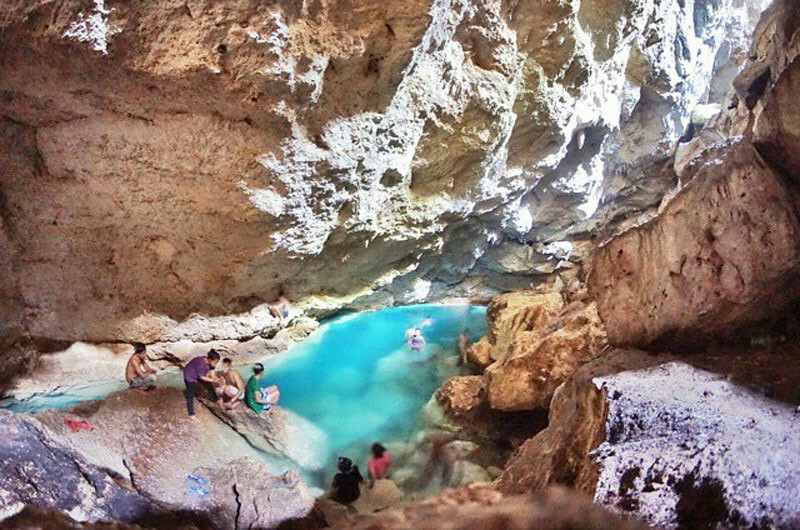 In West Timor, Kupang City plays host to a series of caverns that are still being discovered. So far, two have been partially mapped: Crystal Cave and Oehani Cave. 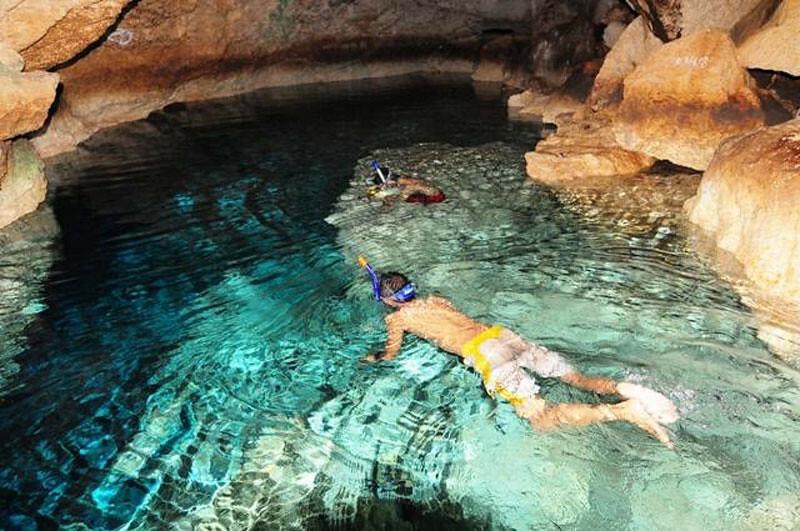 The caves constitute a labyrinth of freshwater diving. They stretch for an unknown number of miles beneath West Timor. Stalactites and walls of fossilised shells adorn the caves. Occasionally, ancient skeletons can be found on the floor of the site. Crystal clear visibility means divers can see everything their light touches. Without a light, pure darkness descends. 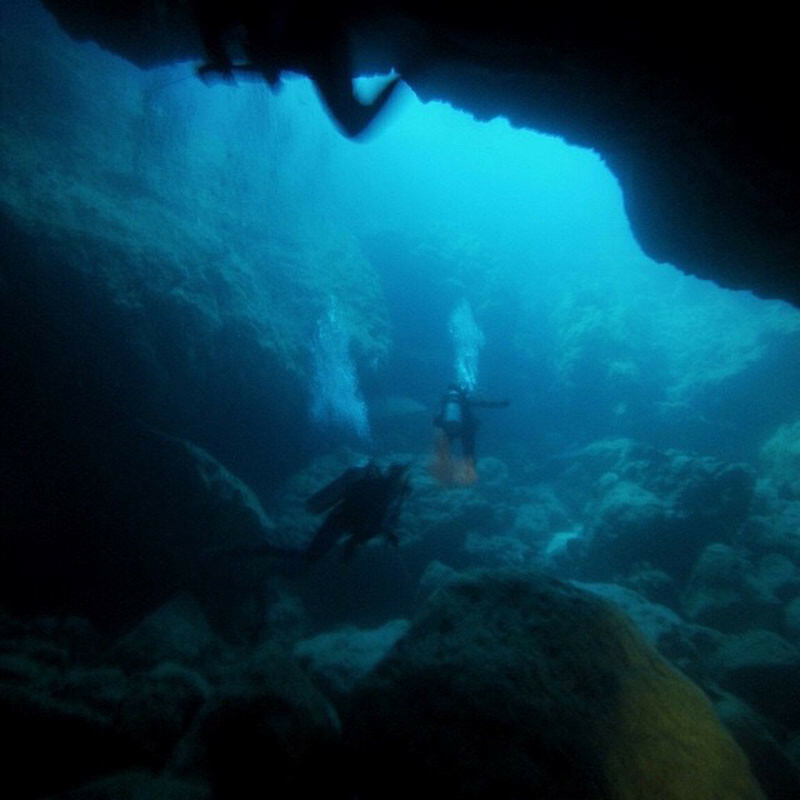 Here in these caves, divers can experience a total blackness that is unknown in most other parts of the living world. 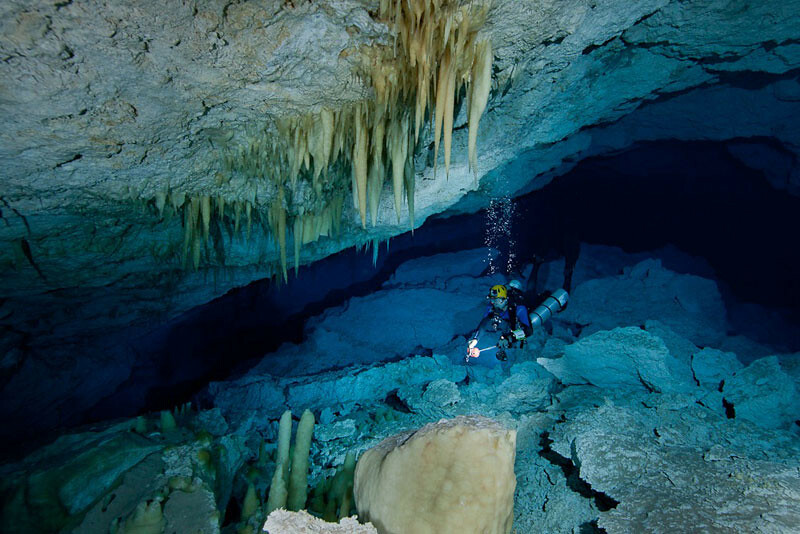 However, this dive is not a walk in the park and should be attempted only by divers trained in cavern diving. 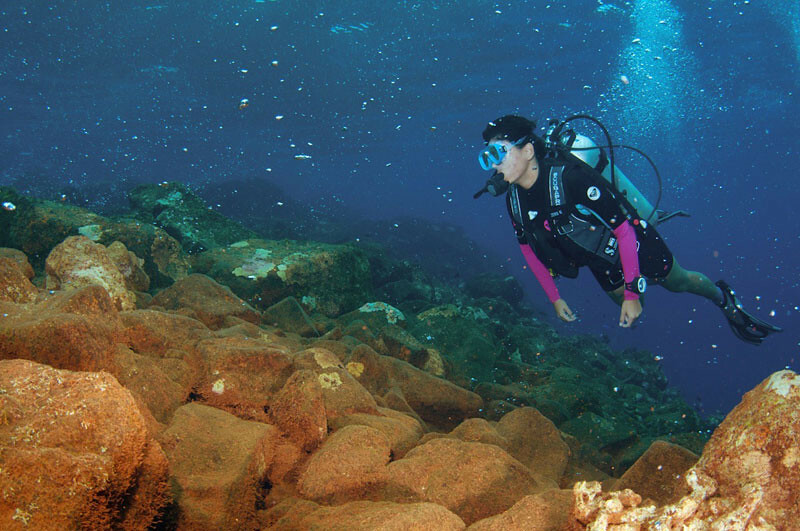 Haloclines and thermoclines give advanced divers enough challenge to stay interested, not to mention the fact that they are often exploring unknown territory. Luckily, there are air chambers scattered throughout the caves to give divers a bit of rest. Have we gotten you excited yet? 1. Your journey begins by flying to El Tari Airport in Kupang. 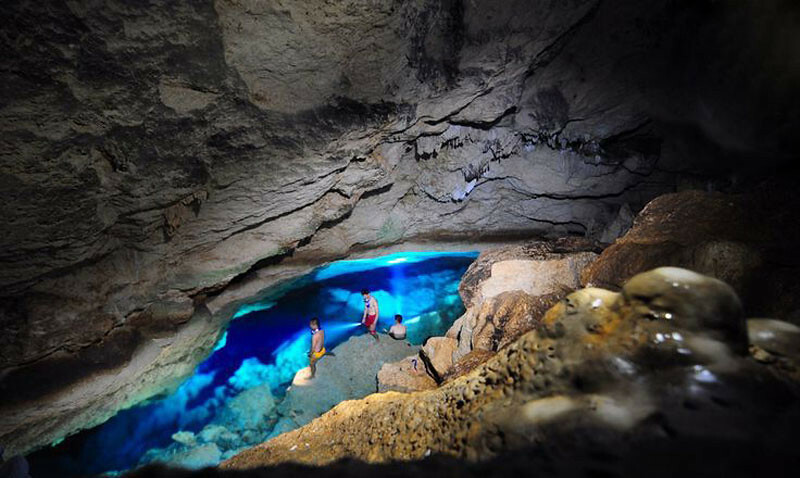 If you wish to dive in the caves, head to the Dive Kupang Dive (address below). Did you know that Belongas Bay in southwest Lombok is one of the only places in the world you can dive with both scalloped and great hammerhead sharks? This adrenaline-filled dive will have even the most advanced scuba divers mouthing “wow” to their dive buddies. 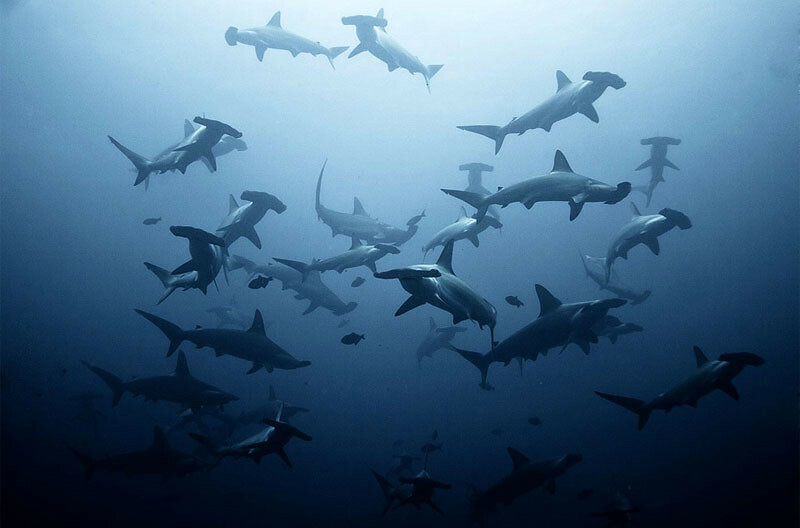 In order to attract such a large school of hammerheads as well as other pelagic species, the elements at this dive site give visitors a wild ride. The currents are some of the strongest in the area and surface conditions are no joke either. This dive is not suitable for beginners. After a rocky ride to a lighthouse about 20 minutes off shore, the dive begins with a negative entry to 20 metres. Here, divers regroup. If not all the divers make it to 20 metres, the group must ascend. Otherwise, the dive group descends an additional 15 metres to 35 metres below sea level. Then, divers make their way around the rock, seeking out the main attraction, a school of hammerhead sharks. You need not worry too much about diving with these sharks, as acts of aggression by hammerhead sharks are rare. Their tiny mouths are more suitable for dining on fish than humans. In the rare instance if a diver is attacked, it is usually because the shark is provoked. 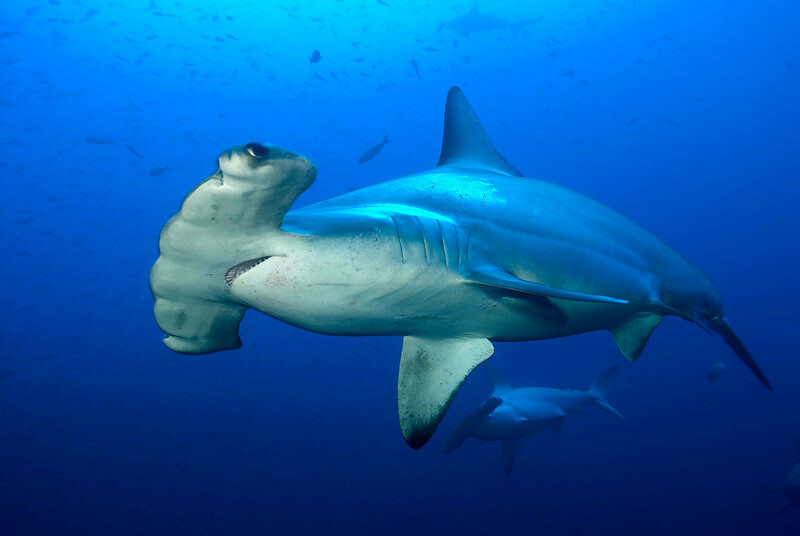 Generally, divers have nothing to fear from hammerheads and at this site in particular, there are no recorded attacks in living memory. If you are more adventurous, venture into the massive Blue Hole at Belongas Bay! 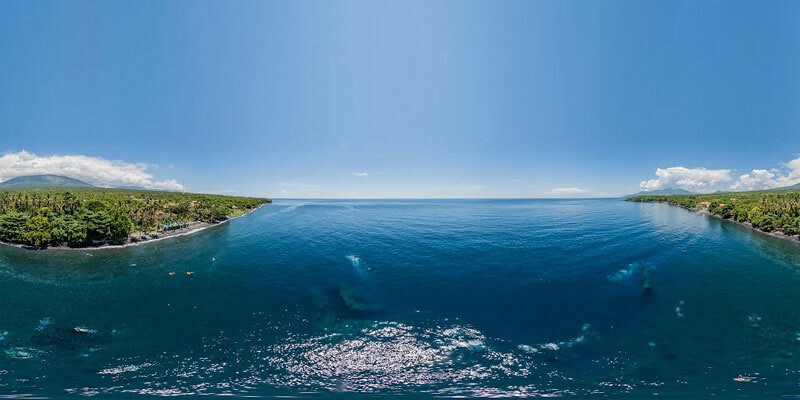 From August to October, Crystal Bay in Nusa Penida is Indonesia’s premier destination for seeking out the Bali Sunfish or Mola Mola, which is one of the 5 creatures you won’t believe exist in Bali. 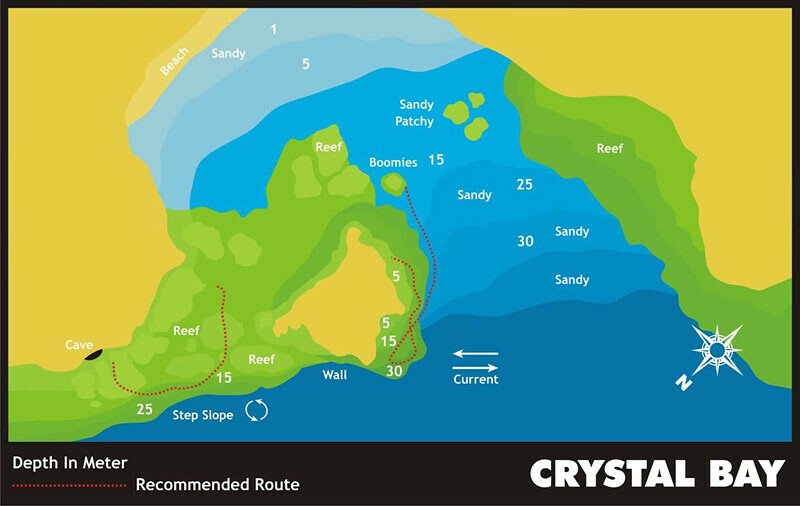 In Crystal Bay, the gigantic fish can be seen around 30 metres below the sea level. 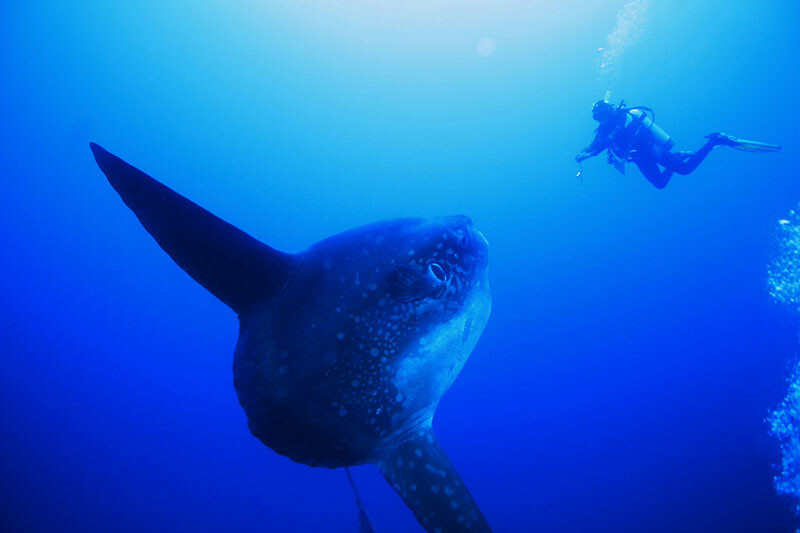 Scientists believe that the Mola Mola appears in the shallower depths in order to be cleaned by other fish. This is good news for divers as it puts the rare creature within recreational depths. The fish can often be seen slowly waving its vertical fins and eyeing divers as it makes its way around the bay. Of course, if you aren’t lucky enough to spot the Mola Mola, other pelagic species can also be seen in Crystal Bay. These include leopard sharks, whitetip sharks and eagle rays. The corals between 15 and 20 metres are gorgeous. For all water adventurers out there, please keep in mind that this dive should only be attempted by experienced divers. Many dive shops will restrict this site to scuba divers who can prove their experience with heavy current. Be aware, the currents in the area can be very strong and downward flowing, so there is no margin for error. If you choose to attempt this dive, be sure to listen very carefully to your dive masters’ suggestions and instructions. Tucked away in a hidden corner in Bali, there exists an off-the-grid masterpiece that’s doing its part to protect the environment. 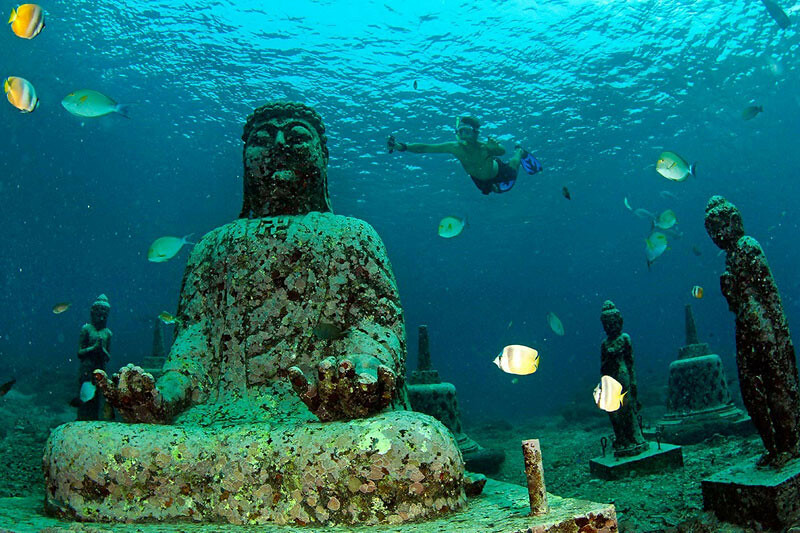 You may have heard of the underwater temple in Pemuteran, but what you may not know is that it isn’t a ruin at all. 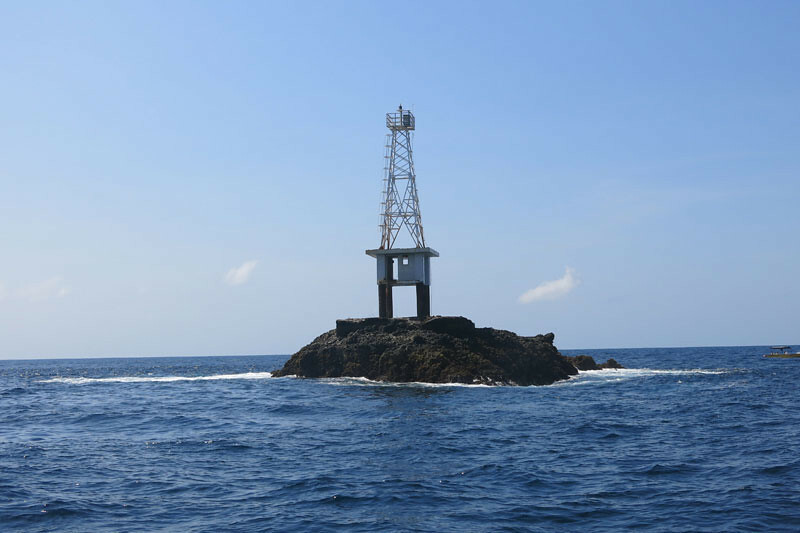 In fact, it’s a Biorock reef that was deliberately placed just offshore in order to promote coral growth. The project began in 2007, and today, you’ll be able to see 10 statues and a four-metre entryway placed up to 15 metres below the surface. 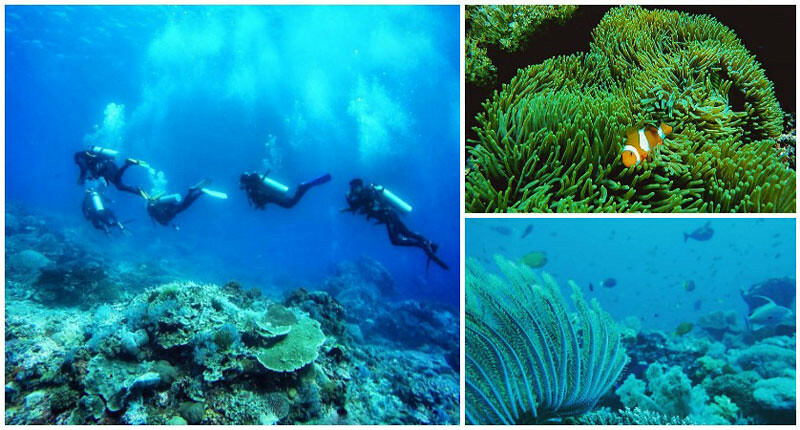 In just eight short years, the reef has grown a variety of soft coral and attracts a wide array of marine life. Expect to see turtles, frogfish, and nudibranchs. Travelling with a non-diver? Pemuteran offers the perfect compromise. The Biorock reef can be easily snorkeled too! 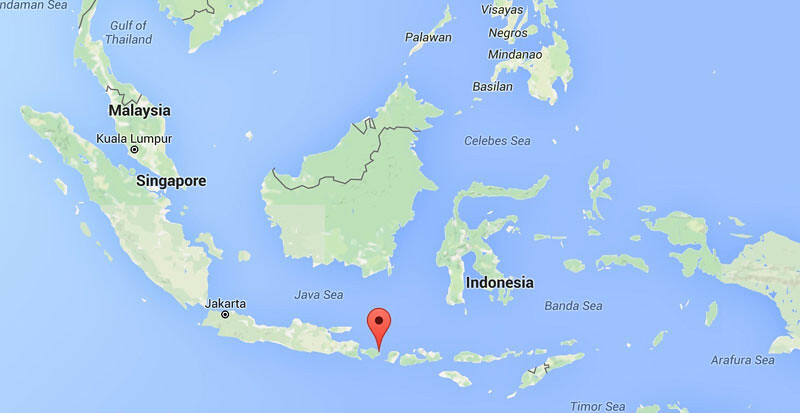 Getting There: Pemuteran can be easily reached from Denpasar International Airport. From the airport, visitors can hire private cars or minivans to take them to the northwest coast of Bali in about four hours. 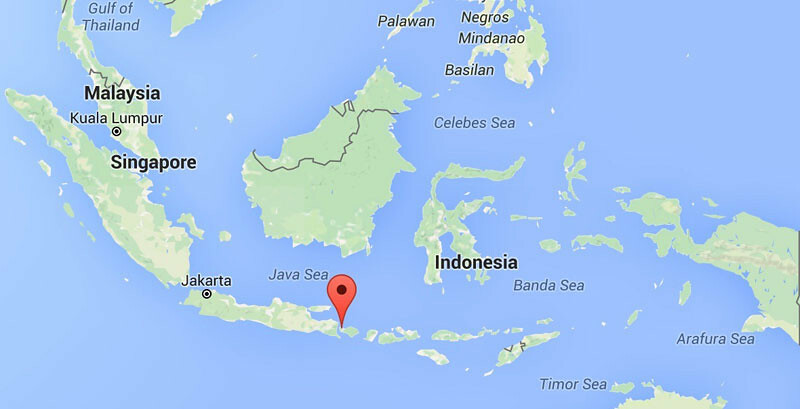 Alternatively, it is possible to reach Pemuteran by bemo from Denpasar. Coordinates here. 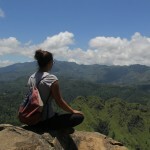 Are you obsessed with collecting all the ‘superlatives’ in your travels? I.e. seeing the biggest waterfall in Bali or the smallest primate in the world? 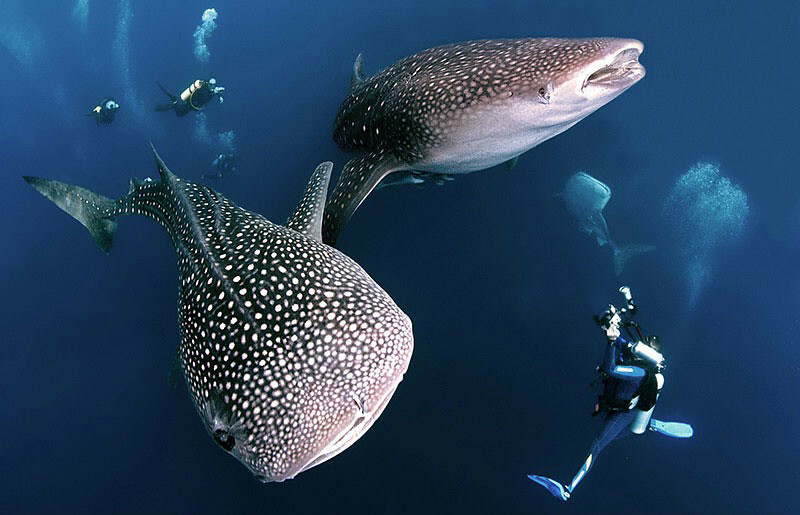 If so, we have a new animal for you to find – the whale shark, which is the largest fish in the world. One of the best places to spot this magnificent animal is in Indonesian waters. Tucked away in Cenderawasih Bay, West Papua is one of the only places in the world that whale sharks are regularly seen all year round. Like bees to honey, these whale sharks flock to the bay to feast on what’s in and around the local fishermen’s nets. So that’s good news for you. 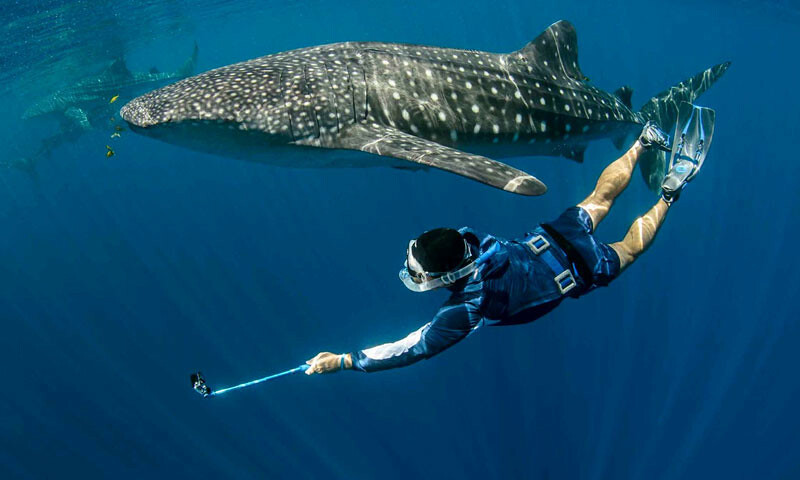 Divers can get up close and personal with the gentle giants. The fish even love to interact with scuba divers as the bubbles released by the activity seem to feel good to the whale sharks. It’s like a mini-massage to go along with their free meal. Now we know why they keep coming back! Even if you aren’t a diver, Cenderawasih Bay is suitable for snorkeling as well. 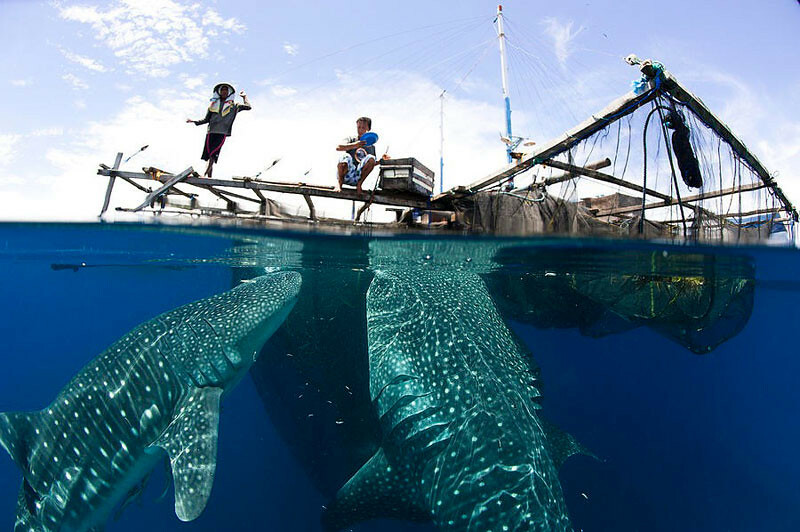 The whale sharks tend to stay in shallow, calm waters where the fishing nets are located. In addition, the crystal clear water makes it easier for you to see the fish deeper down too. Divers and snorkelers alike will be enthralled by the sheer number of these gentle beasts here. Unlike elsewhere in the world, there are enough whale sharks for every group of divers/ snorkelers to have their own to observe. Cenderawasih Bay is truly one of the best sites available to interact with these wonderful creatures. Raja Ampat is well known among divers for having some of the best dive sites in the world. 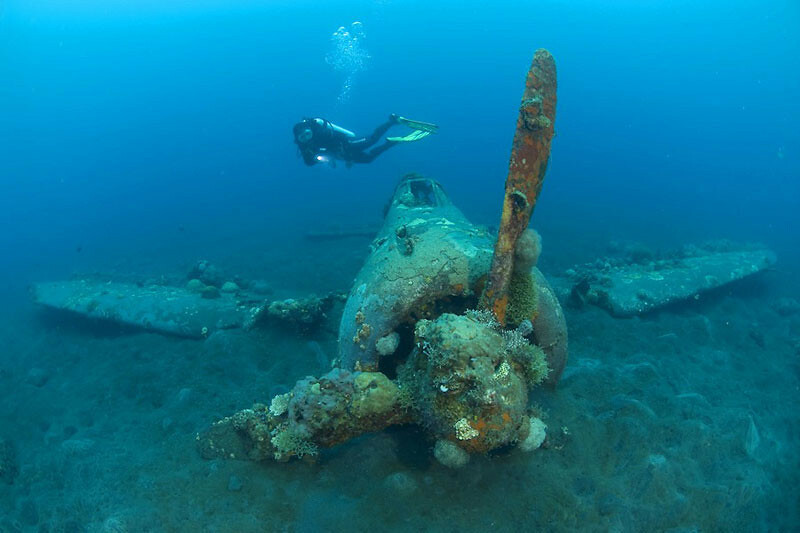 But what many don’t know is that Raja Ampat is also rich in WWII history. It was here that fighter planes duked it out over the high seas, battling for the advantage of the Pacific. Of course, some of those warplanes never made it home. Surrounding Wai Island, three sunken P47 Thunderbolt fighter planes can be found. Only one lies at a diveable depth. 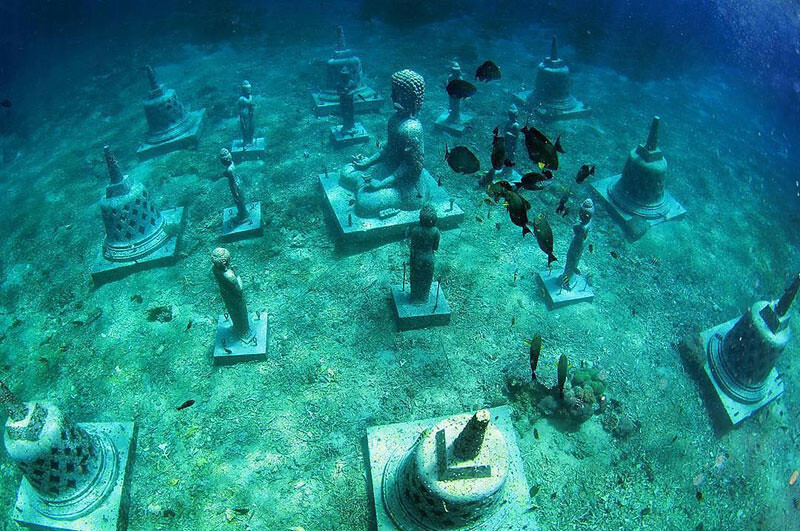 The inverted plane has been lying between 26 and 33 metres below sea level since 1944. At fifteen metres long, this plane was larger than any other fighter plane of its time. 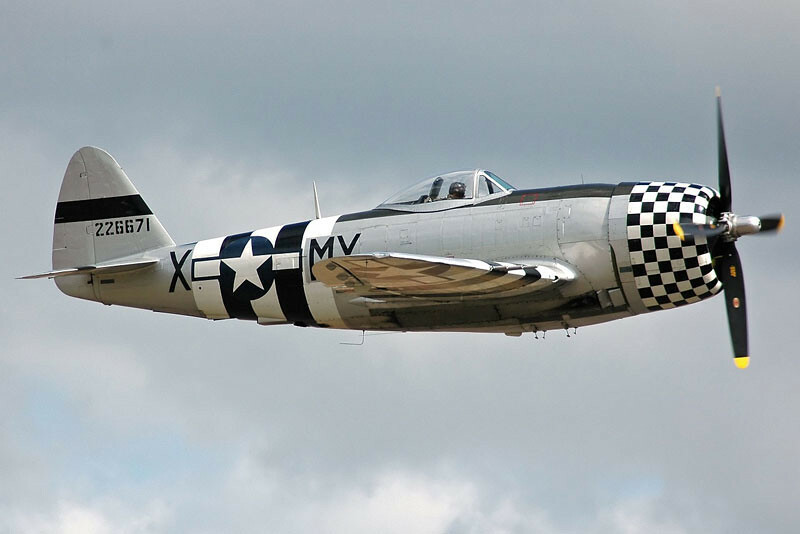 Legend has it that the three P47 Thunderbolts surrounding Wai Island were returning home when they ran out of fuel. The pilots tried to save themselves by ditching near the island. No one knows if the pilots survived the crash. Today, the plane is completely covered in rocks and reef. 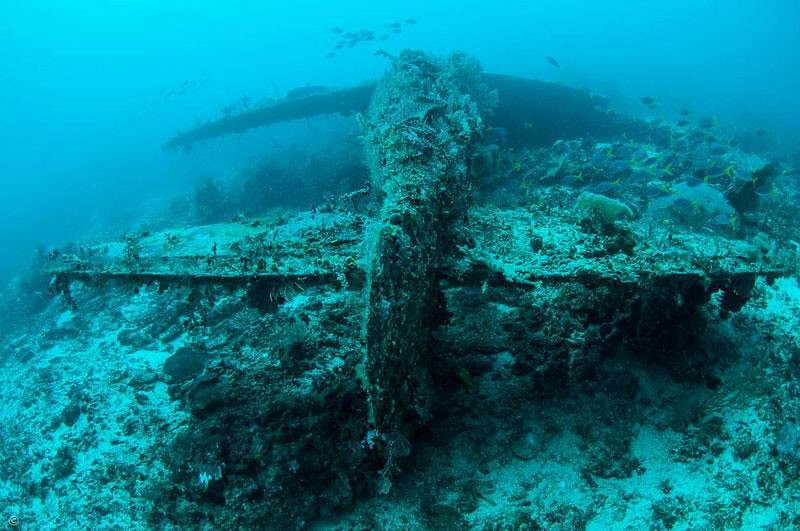 What marine life this dive site may be lacking (when compared to others in Raja Ampat), the rare warplane wreck makes up for in mystery and intrigue. 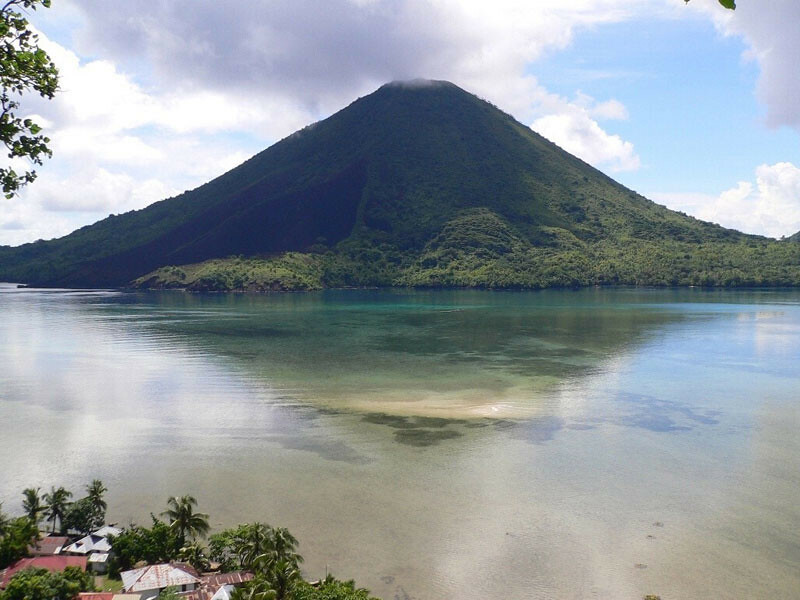 While Gunung Api of the Banda Islands gleam innocently from above the water, the story under the sea is a little different. The luxurious warm and clear waters surrounding the quiet volcano are home to both a beautiful reef and tropical fish, but the other residents might throw you for a loop. Here, hundreds (or thousands) of sea snakes glide effortlessly in the sea. This is definitely not a dive for those who suffer ophidiophobia (fear of snakes). The snakes of Gunung Api are not bashful. They will gently explore a diver’s body, even tucking themselves into a BCD (buoyancy control device) or two. 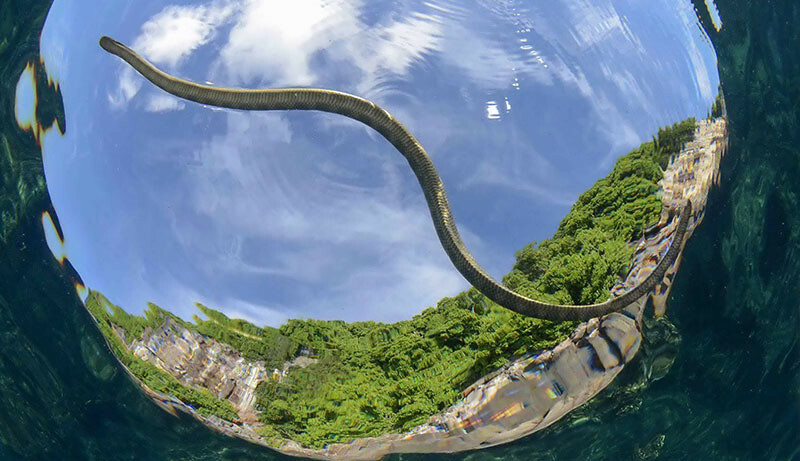 Undersea photographers will be delighted with the snakes’ calm disposition. They usually allow humans to approach at will and endlessly photograph them. At certain times of year, the snakes exhibit mating behaviour. Year-round, the snakes can be seen working together to forage for food, a behavior that hasn’t been observed elsewhere. 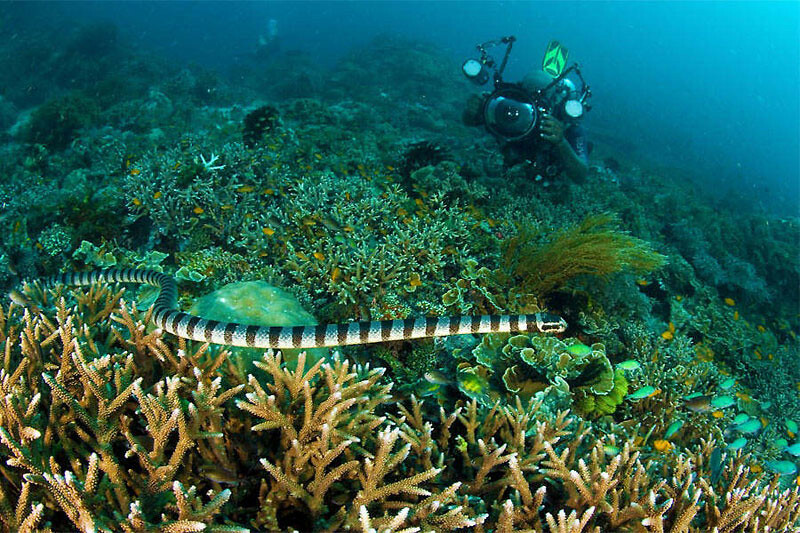 Divers often report seeing more than 30 sea snakes on every dive! While these water serpents are non-aggressive creatures, it is still good to understand the potential harm they can cause. The Chinese sea krait is one of the most venomous snakes on the planet. A bite would mean being immediately airlifted to the nearest hospital. But accidents like that are extremely rare. There’s even a local legend that says sea snakes cannot bite humans because their mouths are too small. But it remains questionable if this is really true, so it’s always better to err on the side of caution, isn’t it? 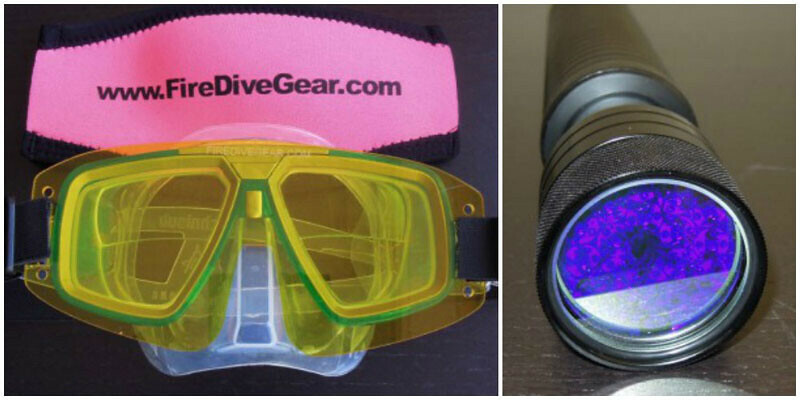 Ever heard of Fluorescent diving (‘fluo-diving’ for short)? 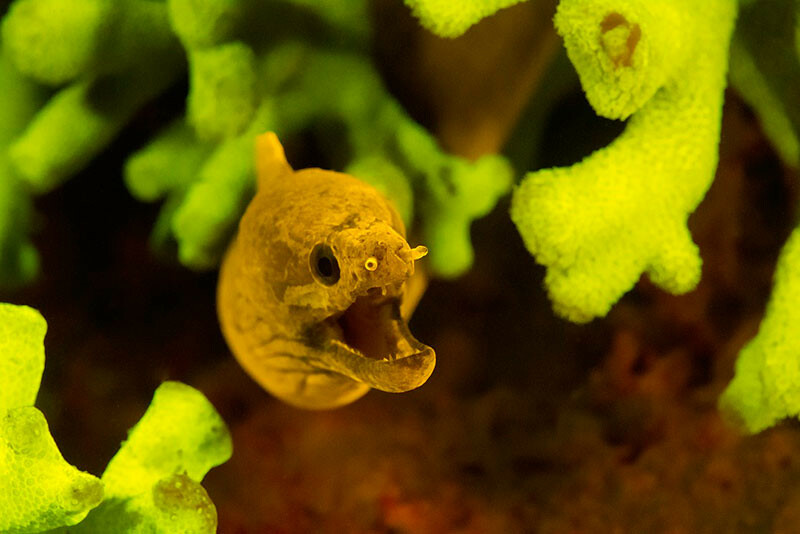 Yes, it’s what you think it is, from its name – being able to see marine creatures under fluorescent light! Fluo-diving has recently been discovered as a new and unique way to interact with nocturnal marine life, and Indonesia has one of the best sites to try it out – at Wakatobi Dive Resort. You have to see to believe. The premise of fluo-diving is that certain marine life has the ability to reflect light in a way that is not visible to the human eye. The effect can only be seen at night when certain lighting is used. At Wakatobi Dive Resort, snorkelers and divers are given special blue lights and yellow filters for their masks. After entering the house reef, creatures can be seen like never before. 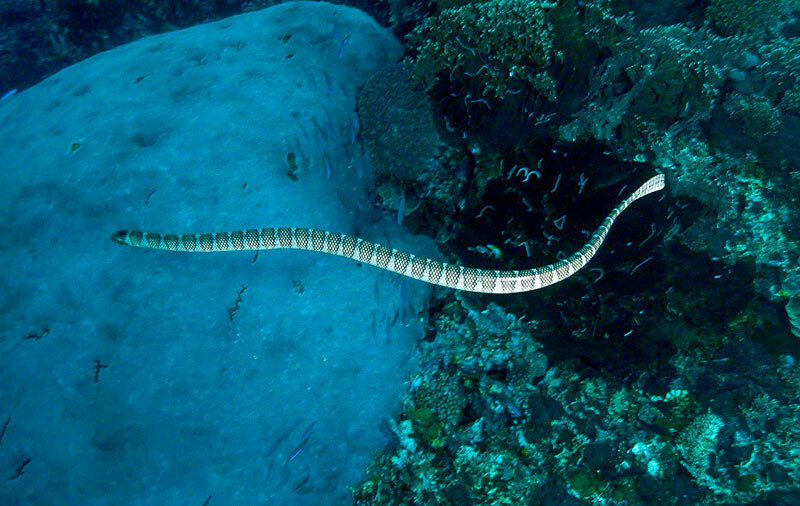 An eel might be bright yellow and certain coral polyps might turn purple and orange. This is because the objects are absorbing the blue light and emitting it in a completely different color. The process is similar to how a ‘black-light’ picture reacts to a UV lamp. 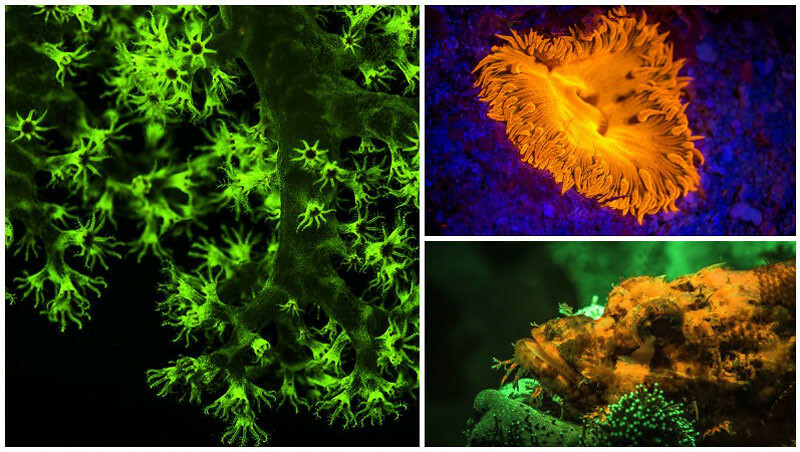 While scientists are still unsure of why animals fluoresce, they do acknowledge that Wakatobi is one of the premier sites for this new type of diving. Here, the reefs are healthy and diverse. Chances are, when you jump in the water, you will see something emitting fluorescence that no one has ever seen before. 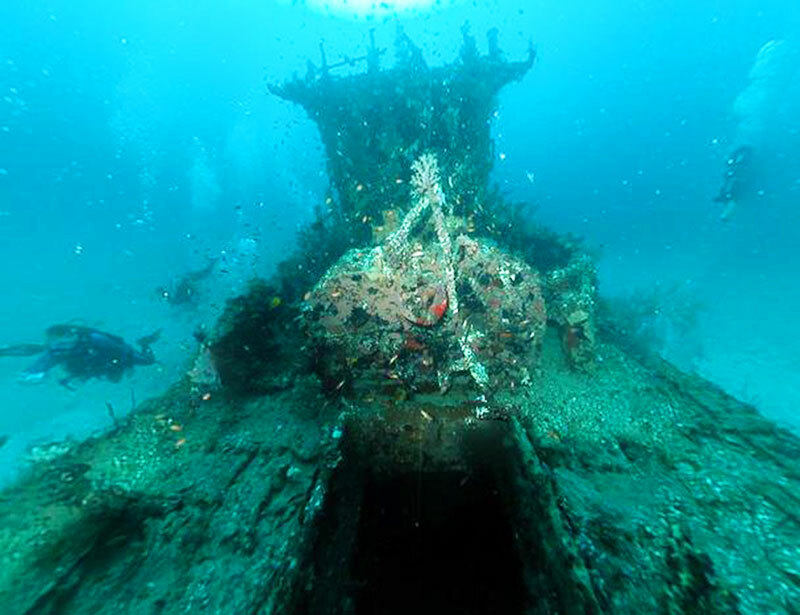 The SS USAT Liberty shipwreck in Tulamben is considered one of the best and most accessible wreck dives in the world. It’s also one of the places in Bali that’s certain to give you the chills. The ship, originally an American warship, survived WWI, only to be sent to battle in World War II. 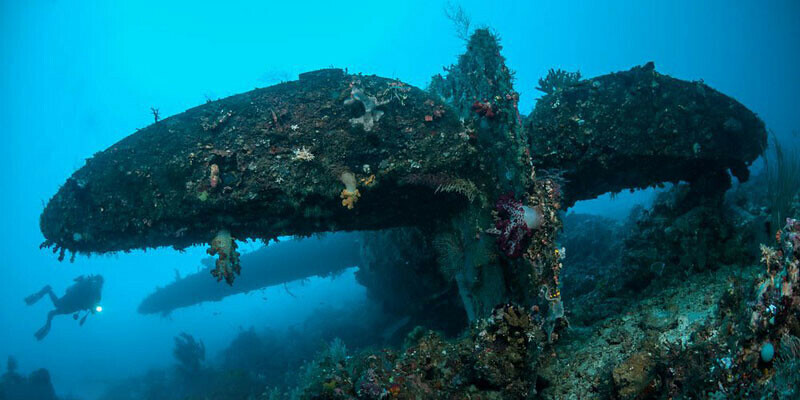 In 1942, it was torpedoed by the Japanese off Bali’s northeast coast. The ship was subsequently beached where it sat rusting for over 30 years. 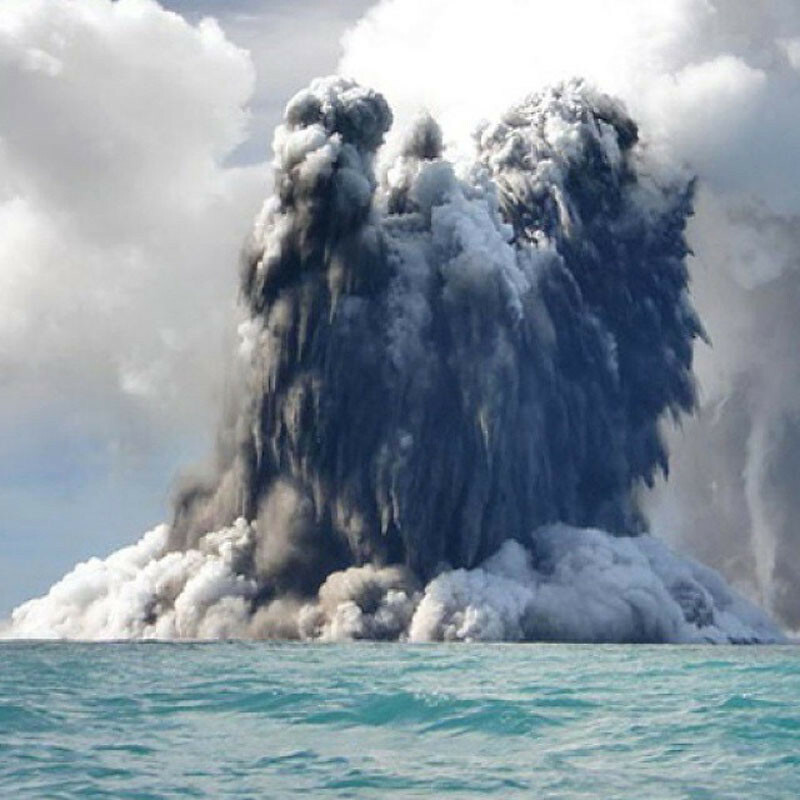 In 1963, a volcanic eruption moved the ship into the water. 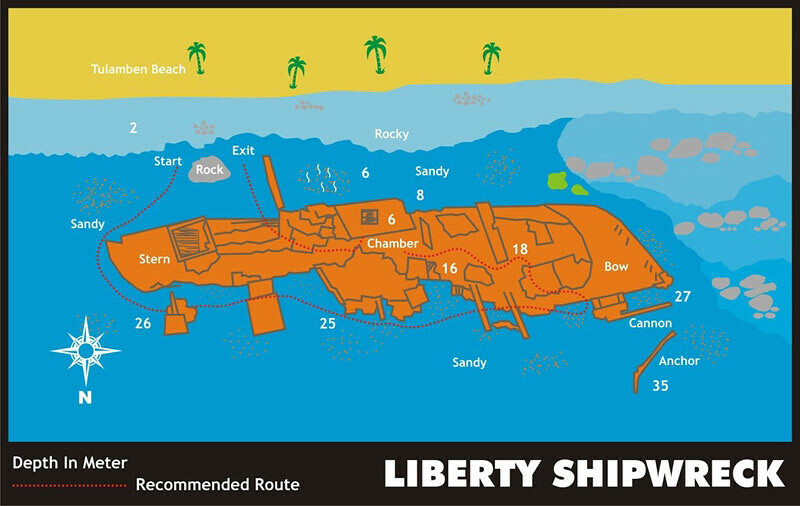 Today, the SS USAT Liberty is completely submerged. The top of the ship reaches three metres below the surface while the deepest part sits 28 metres below sea level. Because the visibility is usually good, snorkelers can even catch a glimpse a large section of the 120 metre-long boat. But divers have the upper hand here. 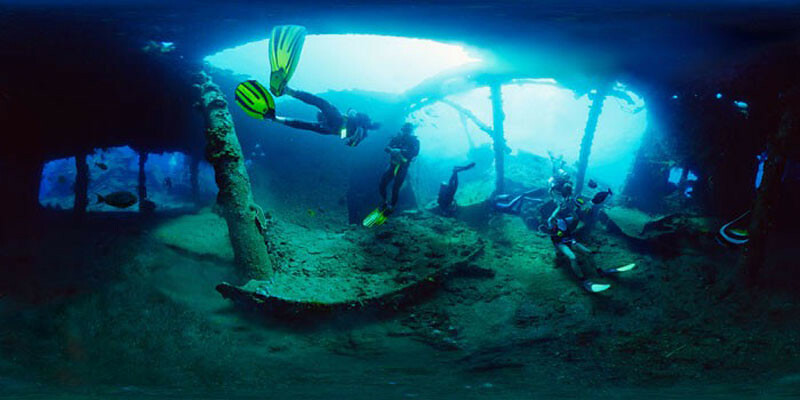 They can explore the ship in detail on more than one dive. Advanced divers even have the opportunity to complete a few swim-throughs to the interior of the ship. The ship isn’t the only attraction in this Bali destination. The boat has been transformed by a plethora of soft corals that play host to a good deal of macro life. 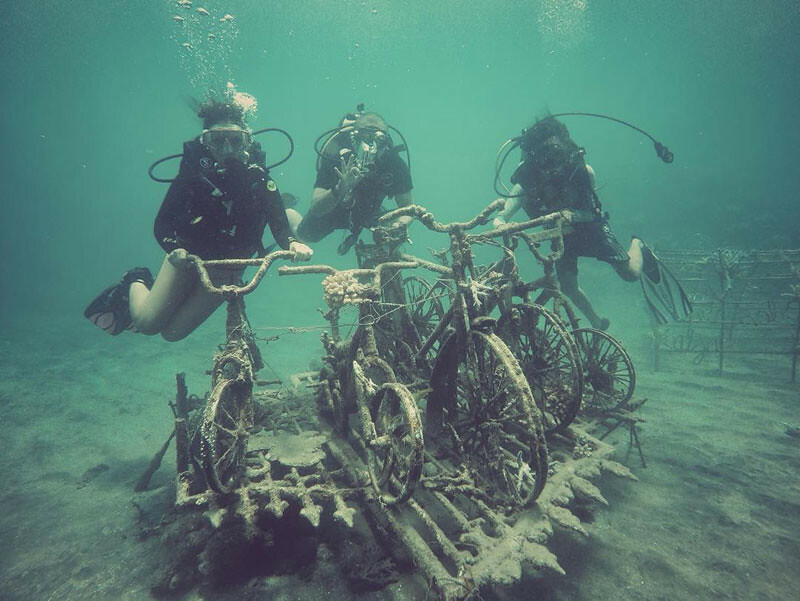 On the bigger side of things, divers can expect to encounter trevally, lizardfish and barracuda in this spooky dive site. 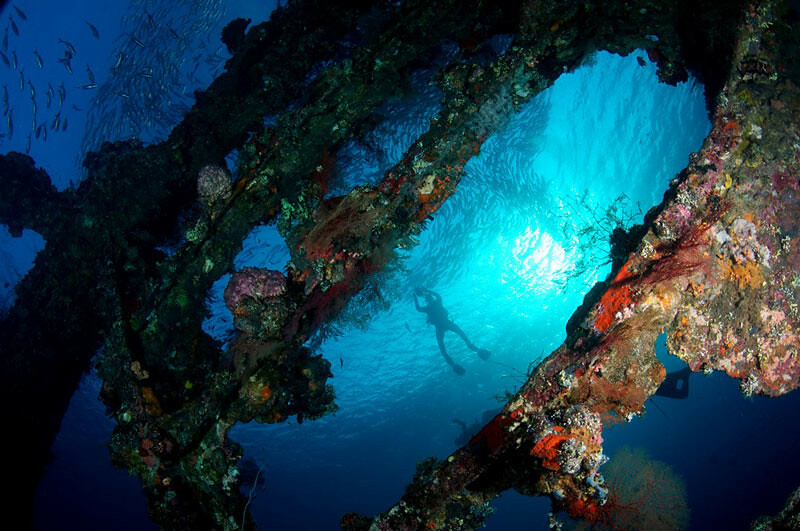 The Twilight Zone is not what you would call a pretty dive site. On the surface, oil tankers deliver jet fuel to the nearby airport and fishing vessels prepare their catch. As a result, the bottom of the site is littered with trash and fish carcasses. But don’t be deterred. There’s so much macro life residing in the black sand here. The unique combination of hospitable waters and extra nutrients from the fishermen’s discarded catch create an environment that is perfect for rare creatures and odd behaviors, such as schools of foraging catfish, eels swimming in broad daylight and a ton of vibrant nudibranchs. While there are lots of creatures in the Twilight Zone, one in particular steals the show – the psychedelic frogfish. You may have read about his relative in our story on 5 bizarre sea creatures in Bali. This psychedelic frogfish takes things one step further. Not much is known about this species, with its swirling pattern of yellow and brown stripes, and it has only ever been seen nine times, only at the Twilight Zone dive site on Ambon Island. 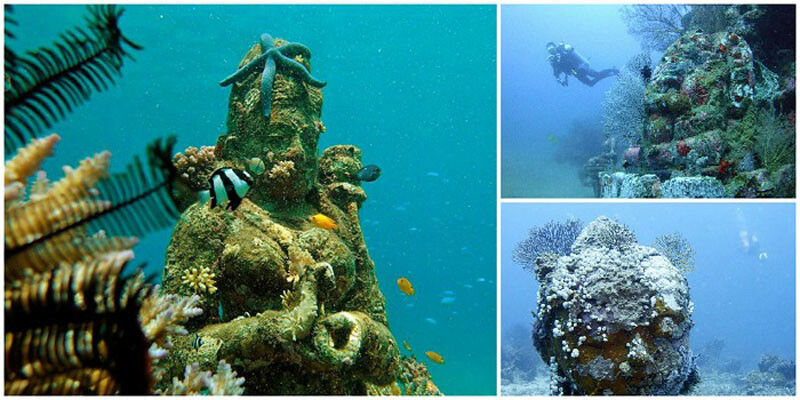 Are there any more unique diving sites in Indonesia we missed? Do share with us!